I am Director of the Vale Living with Lakes Centre where I run my lab, a Faculty member in the Department of Biology and the Tier 1 Canada Research Chair in Stressed Aquatic Systems. I worked as a senior research scientist for the Ontario Ministry of Natural Resources for 25 years before joining Laurentian as a CRC in 2003. 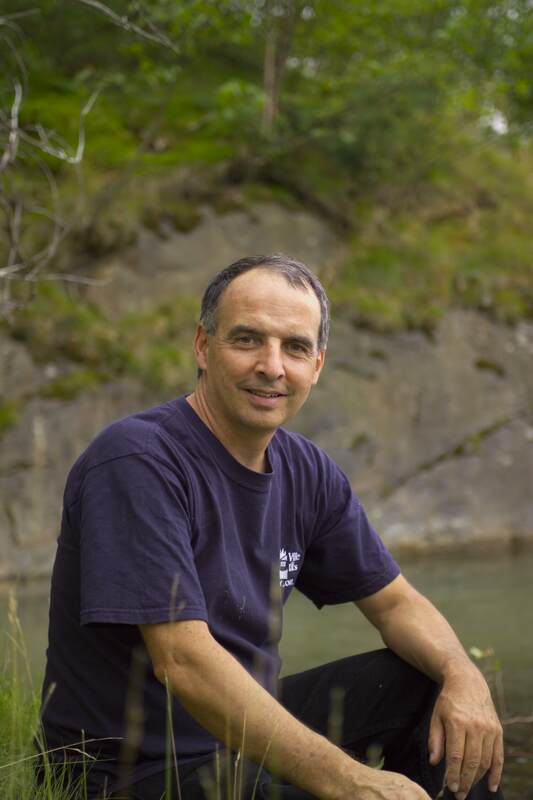 I am a founding member of the Cooperative Freshwater Ecology Unit (1989), an established research group based on a partnership between the Ministry of the Environment, Ministry of Natural Resources and Laurentian University. Contact me if you are interested in finding out more about undergraduate, masters, PhD or PDF research opportunities in my group. My research focuses on trying to understand the basic processes by which severely damaged lakes and stream ecosystems repair themselves, and how management actions can be improved to aid the recovery process in the face of multiple stressors (e.g. climate change, invasive species, urbanization, acidification, metal contamination). Much of our work is concentrated in the Sudbury, Ontario area, home to one of the largest mining complexes on earth, and a UN award winning land reclamation program. Here we are engaged with national and international collaborators and work closely with the large local mining companies to assess the effectiveness of massive investments in air pollution control programs and in novel land management practices, tracing through laboratory and in-situ experiments, and long term monitoring studies (30 years +), the benefits of environmental improvements to whole aquatic ecosystems through studies of water chemistry, microbes, invertebrates and fish. Recently we have also begun extensive surveys (including Hg studies) and pre-disturbance biodiversity assessment studies in the remote and pristine watersheds of the Far North of Ontario (includes Hudson Bay Lowlands). These studies are designed to provide science information to First Nation communities, government and other stakeholders, that is needed to aid in the protection of this globally significant area in the face of rapid climate changes and industrial development. • Tanentzap AJ, E Szkokan-Emilson, CM Desjardins, C Orland, K Yakimovich, R Dirszowsky, N Mykytczuk, N Basiliko and J Gunn. 2017. Bridging between litterbags and whole-ecosystem experiments: A new approach for studying lake sediments. J. Limnology. Accepted. • Gunn JM, BW Kielstra and E Szkokan-Emilson. 2016. Catchment liming creates recolonization opportunity for sensitive invertebrates in a smelter impacted landscape. J. of Limnology. 75(s2):50-58. • Cott, P, A Schein, B Hanna, T Johnston, D MacDonald and JM Gunn. 2015. Implications of linear developments on northern fishes. Environmental Reviews. Environmental Reviews. 23: 177-190. DOI 10.1139/er-2014-0075. • Cott PA, A Hawkins, D Zeddies, B Martin, TA Johnston, J Reist, JM Gunn and DM Higgs. 2014. Song of the burbot: Under-ice acoustic signaling by a gadoid fish. Journal of Great Lakes Research 40: 435-440. • Perron T, J Chételat, J Gunn, BE Beisner and M Amyot. 2014. Effects of experimental thermocline and oxycline deepening on methylmercury bioaccumulation in a Canadian shield lake. Env. Sci. Tech. 48(5):2626-34. • Szkokan-Emilson EJ, S Watmough and JM Gunn. 2014. Wetlands as long-term sources of metals to receiving waters in mining-impacted landscapes. Environmental Pollution 192: 91-103. • Cott PA, TA Johnston, JM Gunn and DM Higgs. 2013. Hearing sensitivity of the burbot. Trans. Am. Fish. Soc.142: 1699-1704. • Cott PA, TA Johnston and JM Gunn. 2013. Stability in life history characteristics among burbot populations across environmental gradients. Transactions of the American Fisheries Society 142: 1746-1756. • Cott PA, TA Johnston and JM Gunn. 2013. Sexual dimorphism in an under-ice spawning fish: the burbot (Lota lota). Canadian Journal of Zoology 91: 732-740. • Tang, RW-K, TA Johnston, JM Gunn, and SP Bhavsar. 2013. Temporal changes in mercury concentrations of large-bodied fishes in the boreal shield ecoregion of northern Ontario, Canada. Science of the Total Environment 444: 409-416. • Cantin A, BE Beisner, JM Gunn, YT Prairie and JG Winter. 2011. Effects of thermocline deepening on lake plankton communities. Can. J. Fish. Aquat. Sci. 68(2):260-276.